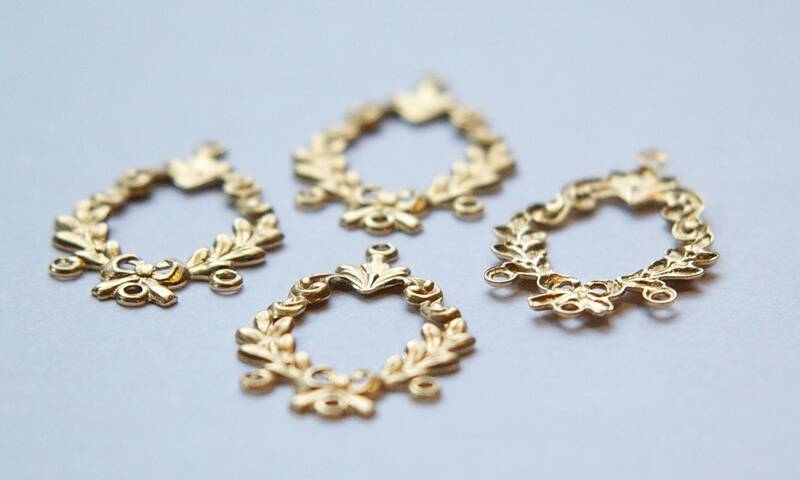 These are raw brass stampings that are made in the USA. They have scrolls and leaves designing the sides ending at the bottom with a bow. There is a loop at the top and 3 loops at the bottom. These measure 29mm x 19mm. You will receive 4 pieces. There is a piece in the second picture that is turned over so you can see the back. Fast shipping, wonderful trustworthy seller! 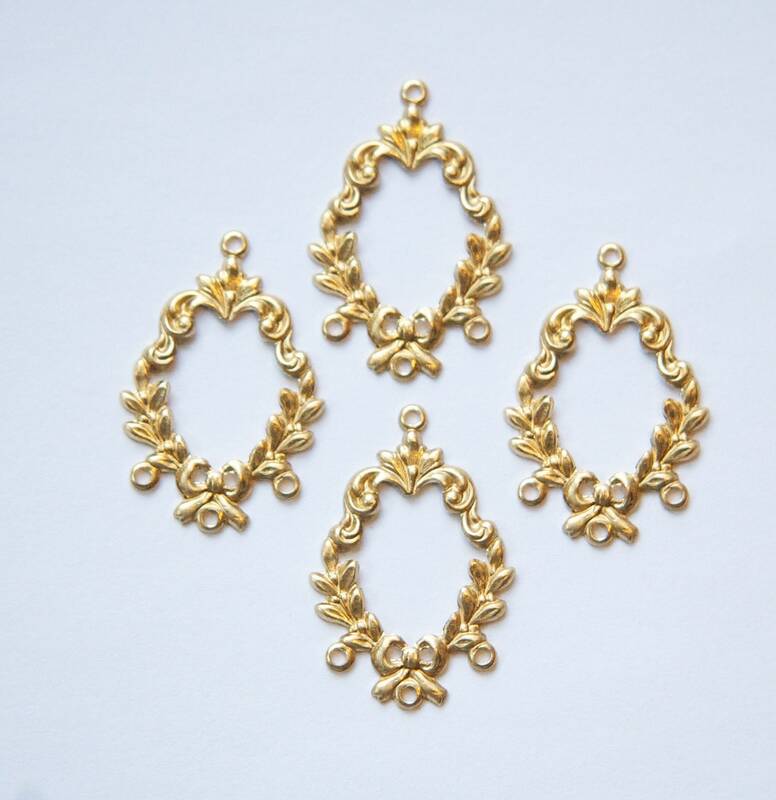 Neat and lovely small pendangs !